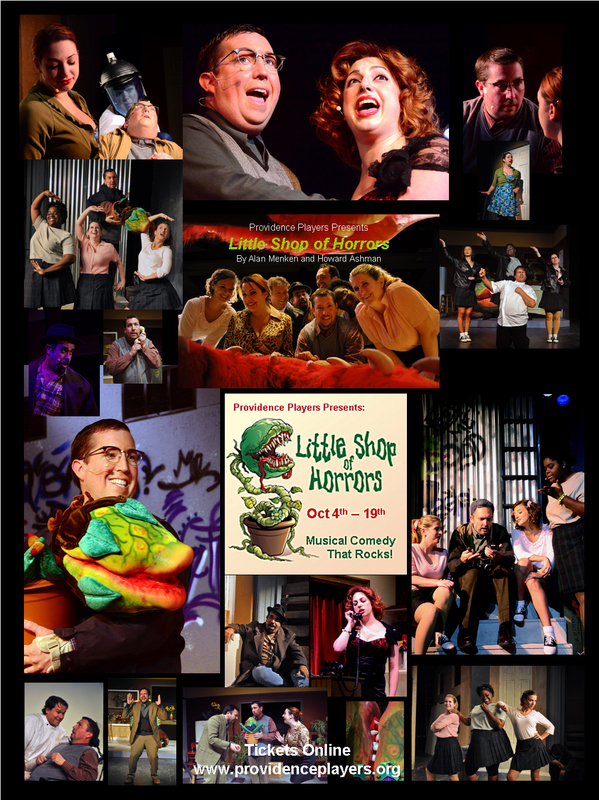 A rockin’ musical comedy spoof of 1950s sci-fi horror films, Little Shop of Horrors follows the misadventures of Seymour, a down-and-out floral assistant who longs to get the girl of his dreams and escape life on skid row. When he discovers an exotic plant with a mysterious craving for fresh blood, he becomes an overnight sensation. Soon “Audrey II” grows into an ill-tempered, R&B-singing carnivore who offers him fame and fortune in exchange for feeding its growing appetite. Charming, tuneful and hilariously tongue-in-cheek, Little Shop of Horrors is irresistible and never fails to entertain; one of the longest-running off-Broadway shows of all time. A musical theater staple that has grown to cult status, Little Shop of Horrors is consistently amusing and churns with non-stop musical momentum. Don’t Miss It! This show contains a little mild crude language. Or by emailing providenceplayerstickets@cox.net, calling 703-425-6782 (please leave a message), or purchasing at the door (subject to availability).